National Express offers cheap coach and train tickets for travelling throughout the UK including London airports Heathrow, Gatwick, Stansted and Luton. There is also Eurolines, National Express’ international service to over 600 destinations across 33 countries in Europe and Ireland. 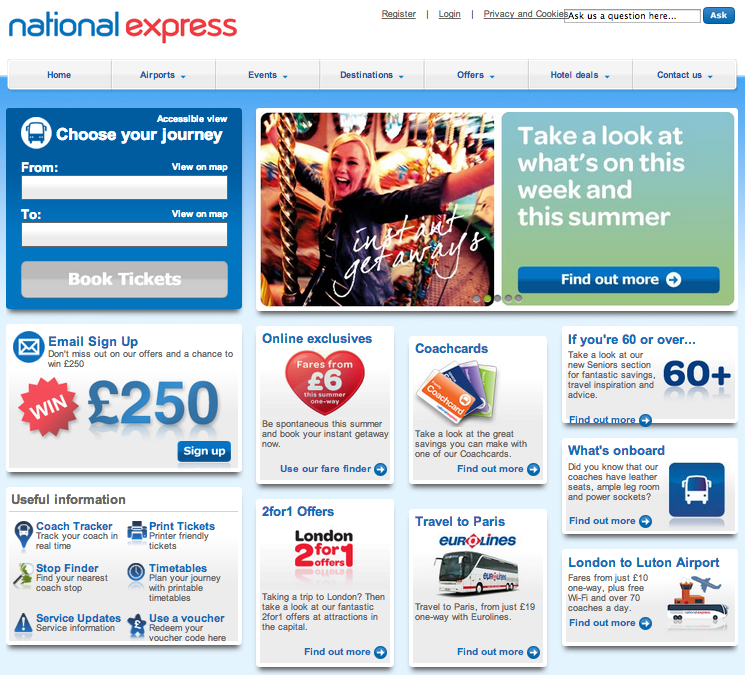 National Express Eurolines for cheap train tickets to Paris, Amsterdam, Brussels, Rotterdam and more. 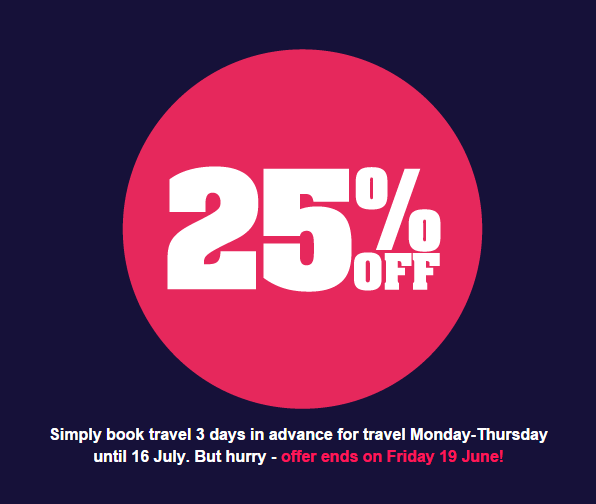 25% OFF on standard fares for one week only – offer ends on Friday 19 June! Check customer reviews regarding National Express’ services through Ciao.co.uk. If you’re 60 or over you can save 1/3 off standard fares with the Senior Coachcard (just £10 a year and no restrictions on peak and off peak travel times). Chance to win £250, just by signing up! Overall, National Express seems like an excellent company to book with- the majority of reviews show friendly drivers, good service and helpful staff. While there are complaints about the buses being late or the staff unhelpful, these are definitely in the minority, though as with all things caution should be taken when booking. However, for those looking for cheap coach or train tickets to many places across the UK, National Express is a reliable and cheap way to get from A to B. Go back to Cheap Coach Tickets category to find more UK providers of cheap train tickets and offers for travelling across the UK.